What is a catchment, and why should you care? We all live in ‘catchments’, whether it is the catchment area for a school or hospital, or a catchment area for a local stream, river, lake or coastal water. 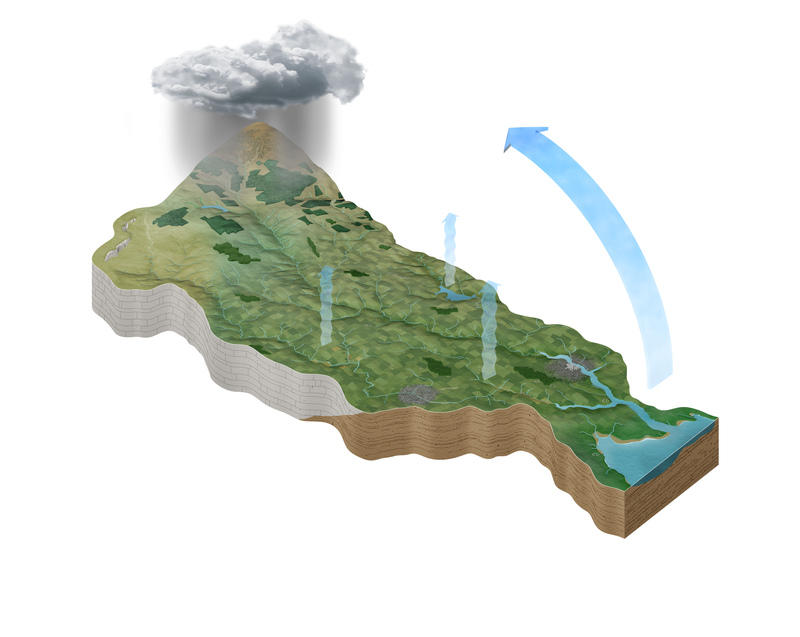 For water, a catchment is simply defined as an area of land around a river, lake or other body of water. Living in a catchment that has healthy water can help a community to have a better quality of life. A healthy water catchment provides high-quality drinking water and supports livelihoods such as agriculture, recreational angling and water sports. It also supports local ecosystems so plants, animals, fish and insects that depend on having healthy water can thrive and flourish. With 46 catchments and 583 sub-catchments across Ireland, your local catchment should be an area you are familiar with and know well. You can find your catchment and sub-catchment on the Maps page. By allowing geolocation when your browser prompts you, it will zoom the map straight in on where you are now. On the Maps page, you can find information about the current status of your local rivers, lakes and beaches. You will also get information about how these valuable resources are being used, and information about the environmental pressures on them. On the Data pages, you can see detailed results of scientific tests, including long-term trends. The Dashboards will give you information about water quality and the pressures on our catchments and sub-catchments. 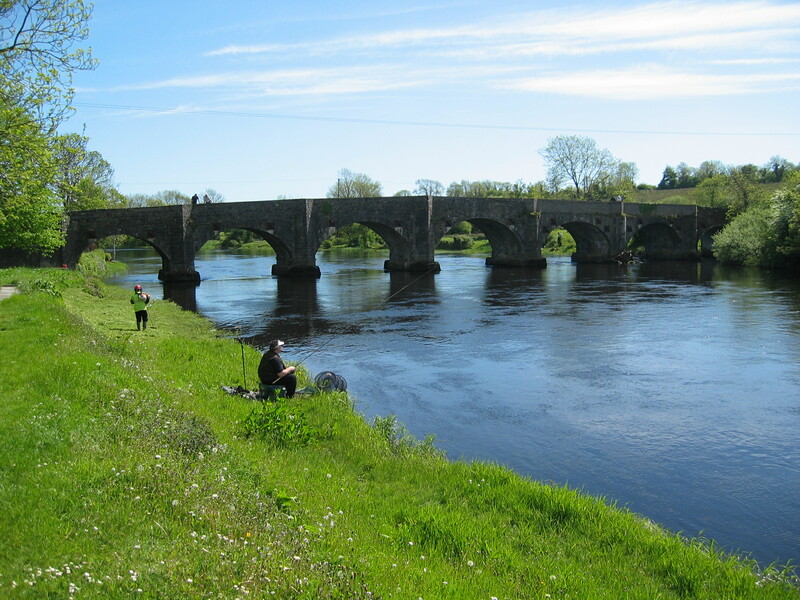 There are many ways for individuals or local communities to get involved – this can be anything from organising a Spring Clean of a riverbank once a year, getting your local Tidy Towns committee to look at how your river or lake can help your town become a nicer place to live, or even establishing a Rivers Trust or locally led agri-environment scheme to help draw down funding and establish a long term plan for your area. You can sign up for our quarterly Catchments Newsletter using the form, and if you let us know what county you are in, we can contact you with relevant information about anything new that starts in your area. You can also get in touch with the new Waters and Communities Office, who will be helping local communities get involved all across Ireland. The EU Water Framework Directive (WFD) is an important piece of environmental legislation which aims to improve our water quality. It applies to rivers, lakes, groundwater, estuaries and coastal waters. The Water Framework Directive was agreed by all individual EU member states in 2000, and its first cycle ran from 2009 – 2015. The Directive runs in 6-year cycles, so the second cycle runs from 2016 – 2021. Having one framework for water quality for all 4,933 waterbodies in Ireland, and all those in Europe, allows us to compare our results. By doing this, we can see what works, which helps us to make sure all our surface and ground water achieves at least ‘good’ status, and no deterioration occurs. A key part of the Water Framework Directive is Article 14, which requires all member states to genuinely engage with the people who live, work and play in a catchment.